Our front door isn’t our front door any longer. Most Americans use their garages over 70% of the time to enter and exit their homes. Just about all new homes and most homes built within the last 20 years or so come with an automatic garage door. Older homes may not. If you’re still manually lifting your garage door, you are missing out on the added convenience and security of electric garage doors. Here are a few of the benefits that come with installing or replacing an automatic garage door. 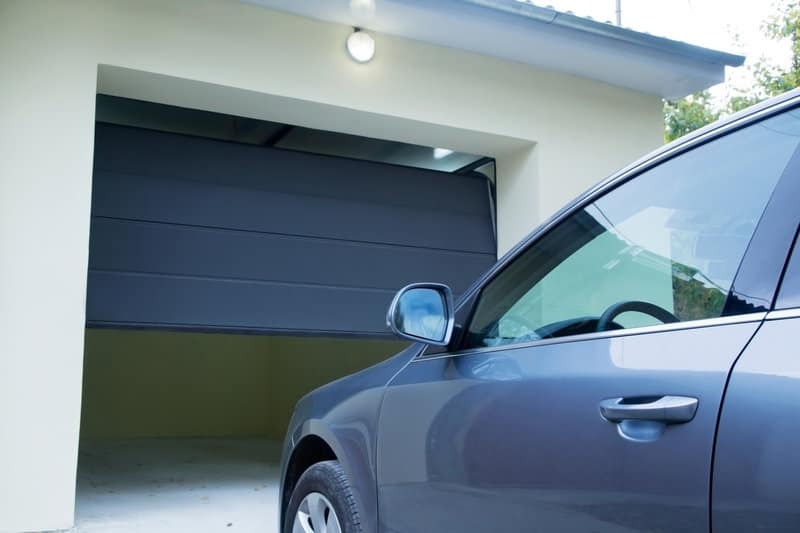 An automatic garage door means easy access to your garage. Pushing the button on the wall opens the door just that simple. These units come with a garage door remote that clips onto your car visor. You don’t get out of your car to open the door. You drive right on in. No more running to the garage door in the rain. No more straining to lift the door yourself. Most electric garage doors also come with a keypad outside the garage. Set a pin and you don’t need the garage door remote at all. Older children love the independence it gives them to be able to come home from school and not worry about fiddling with house keys. Then there are times when you need to send someone to your house while you are away. It could be a friend, babysitter, or repair person. You can provide them the keypad pin. You can always reset the pin after they have left to keep your garage secure. Or, you can set a guest code for temporary users. Guest codes only work for a period. After your set time is over, the code no longer works. Keyless entry is great for vacations. Whoever you have charged with picking up the mail and watering the plants doesn’t need a key. The technology behind an automatic garage door lends itself to many conveniences such as automatic closing and control from your smartphone. The automatic closing feature means you don’t need to remember to close the door or press the garage door remote a second time. The garage door closes itself. This is a great thing if you have kids who come and go from the garage. Also helpful if you tend to forget to close the garage door. No more getting to work and worrying that the garage is open. You can control many electric garage doors using an app on your smartphone. Using the app, you can close your door from anywhere. The app can also notify you when the door is open. The remote controls and keypad provide a bit of added security. Only folks with either the garage door remote or the pin code can access the house. Those who are security minded will be sure to keep their cars locked and the remote hidden under the visor. Thieves can try to access your remote control using a remote control code scanner. To thwart this, some garage door openers have rolling codes in the remotes. The code changes every time you press the button. So, only you can access the garage. Some remotes come with a feature called vacation mode. Vacation mode disables the remote controls. You can only open the garage door from the inside. Would-be thieves can’t use a scanner to access your garage. If you park your garage, there is the added security of not leaving your car to walk into the house. Say you’re coming home late at night and have bags to unload. You can make multiple trips in and out of the house, leaving your car door and private garage door open. This can be a lifesaver if you have kids or pets that ride with you. You can leave your little one napping in her car seat while you unload the groceries. Automatic garage doors have sensors that detect objects, people, or animals on the threshold. The door won’t come down on any of these. The door will stop once it senses something in its path. It goes without saying that those of us with children and pets appreciate this feature. It’s also beneficial for those with medical conditions that could slow movement or cause falls. An automatic garage door comes with built-in lights. When you activate the door, the system turns on an overhead light. Some electric garage doors have outside lights that light the driveway in front of the garage. This added light comes in handy at night or during inclement weather. Even with all the features and technology, even an older automatic garage door is efficient. It does not use a lot of electricity. It uses very little power until you activate the opener. That event only lasts for about 15 seconds. Along with being cost-effective to run, electric garage doors don’t require expensive maintenance. If you maintain it per the manufacturer’s instructions, you should spend little time and money on garage door repair. Even if you do require a service technician to come out and troubleshoot a problem, maintaining your door opener should minimize the repair costs. Any style garage door is compatible with an automatic opener, including canopy, sectional, and roller garage doors. If you don’t want to replace your existing manual garage door, you can retrofit it. You don’t have to make any sacrifices to your home’s style or character. Is It Time for an Automatic Garage Door? It’s difficult for most of us to imagine life without your garage door opener. We appreciate the obvious convenience as well as the added security that an automatic garage door provides. If you are looking to update your California home with an automatic garage opener, please contact us. 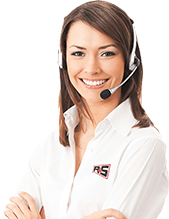 Likewise, if your current opener needs maintenance or replacement, we’d love to help you.